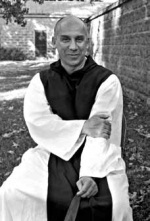 Thomas Merton (1915-1968) was a writer and Trappist monk at Our Lady of Gethsemani Abbey in Kentucky. His writings include such classics as The Seven Storey Mountain, New Seeds of Contemplation, and Zen and the Birds of Appetite. Merton is the author of more than seventy books that include poetry, personal journals, collections of letters, social criticism, and writings on peace, justice, and ecumenism. The Thomas Merton Center is the official repository of Merton's artistic estate, which includes over thirteen hundred photographs and nine hundred drawings in addition to his writing. The Center archives more than fifty thousand Merton-related materials. 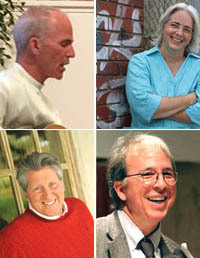 The International Thomas Merton Society, formed in 1987, includes chapters throughout the world. The ITMS promotes the study of Thomas Merton and, with the Merton Center, co-publishes The Merton Seasonal. The next ITMS Conference will be held in Santa Clara, California from June 27 - 30, 2019. 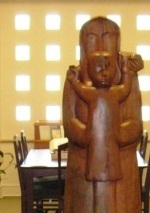 The Thomas Merton Center recently launched online collections and exhibits featuring digitized items from collection.